It's become common in the US for farmers to develop cancer, and now lawyers claim that the mystery of why people in their profession experience higher overall death rates has been revealed: Monsanto is killing them off with the popular herbicide Roundup. 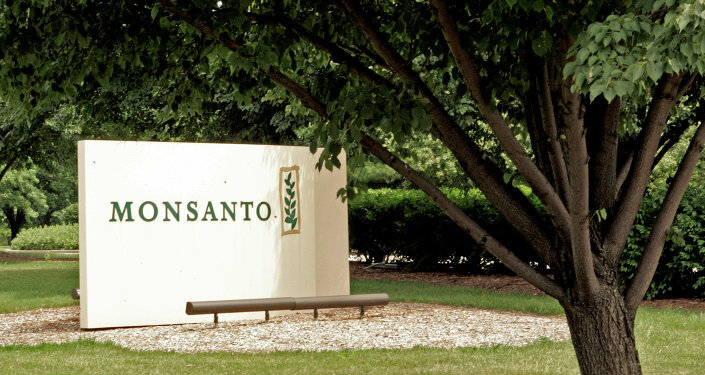 Personal injury lawyers throughout the US have introduced lawsuits against agrichemical giant Monsanto Co, accusing the company's Roundup herbicide of providing a chemical which is "carcinogenic to humans". Three law firms representing three farmers and homeworkers filed a complaint in Delaware's Superior Court Wednesday. This isn't the first recent case against Monsanto, as last month both New York and California courts saw similar cases. The agricultural biotechnology company was excoriated for allegedly having known about the destructive effects of glyphosate, Roundup's primary ingredient, for a long time. Monsanto "led a prolonged campaign of misinformation to convince government agencies, farmers and the general population that Roundup was safe," the lawsuit said. The court's case was supported by the World Health Organization (WHO), which classified glyphosate as "probably carcinogenic to humans." Monsanto objected to the statement, saying the WHO report is a far cry from reality and that the chemical is one of the safest pesticides in the world. "Glyphosate is not a carcinogen," company spokeswoman Charla Lord responded in an email. "The most extensive worldwide human health databases ever compiled on an agricultural product contradict the claims in the suits," Lord added. Roundup, which is commonly used as toxic weed-killer, is used worldwide by farm workers and brought Monsanto $4.8 billion in revenue during the last fiscal year. The company has been embroiled in a scandal as the chemical's impact on health has remained undermined for years. Numerous studies have uncovered evidence that Roundup causes non-Hodgkin lymphoma (NHL), argue the lawyers who are filing the suit against Monsanto. Attorneys have said that these claims will likely be pursued collaboratively as class-action lawsuits. "We can prove that Monsanto knew about the dangers of glyphosate," said lawyer Michael McDivitt, whose law firm in Colorado railed against the giant company, gathering cases for 50 individuals. "There are a lot of studies showing glyphosate causes these cancers." In order to find plaintiffs and sue the agricultural giant, the Baltimore firm Saiontz & Kirk advertised a "free Roundup lawsuit evaluation" on its website, encouraging other law firms such as the Washington, D.C. firm Schmidt & Clark and others in Texas, Colorado and California to follow its example. Two of the plaintiffs, 24-year-old Joselin Barrera, a child of migrant farm workers, and Elias de la Garza, a former migrant farm worker, were both diagnosed with NHL, which they believe was the direct result of exposure to glyphosate. A horticultural worker from Virginia became the third plaintiff in the case: Judi Fitzgerald, whose battle with leukemia has lasted three years, joined Barrera and de la Garza in the Delaware case after asking for the dismissal of a similar lawsuit she'd filed in a New York federal court. The Roundup case only is the latest of at least 700 lawsuits against Monsanto or Monsanto-related companies. Most of the plaintiffs are suing following their 1970's era exposure to polychlorinated biphrenyls (PCBs), which the WHO classifies as cancer-causing element. People who believe their non-Hodgkin lymphoma is stemming from PCBs that Monsanto suspended in the late 1970s have high hopes for Roundup's removal.